Empires of the mind. : Tobacco, petroleum and sugar, so what do they have in common? 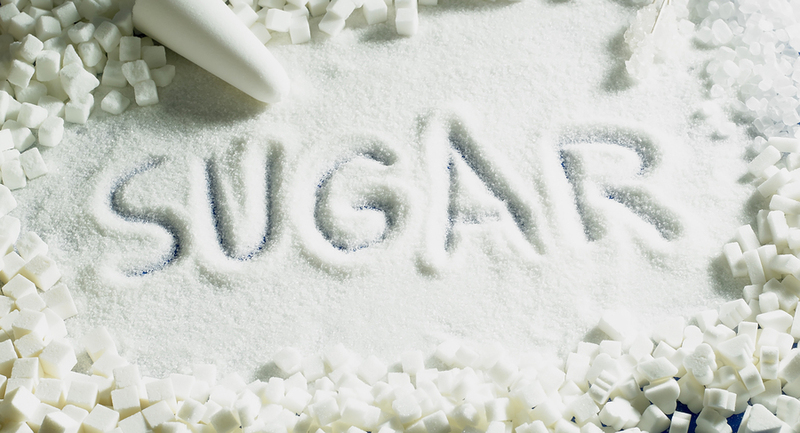 Tobacco, petroleum and sugar, so what do they have in common? All three are industrial concerns that have over the last hundred years have enjoyed huge, international markets. And all three pose a significant hazard to human health. The tobacco industry peaked in the late 20th century, although the hazards of smoking had been known since the 1930s. Eventually, of course the health hazards of smoking were indisputable. The battle against petroleum is still being fought with most of us stuck as ‘users’ of a product that causes environmental damage through excessive CO2 in the atmosphere (causing global warming and oceanic acidification). And the direct health hazards of burned petroleum exhaust, especially from diesels, which are carcinogenic. There’s another industry which is determined to maintain market share despite clear health hazards associated with its consumption. That is the sugar industry. Over the last 50 years obesity has become a major health hazard. The obesity epidemic started in the USA and has spread across the world as different societies have adopted American dietary habits. Now, even third world countries that are barely producing enough food to support their populations have obesity problems. Much of the trouble started in the 1970s when nutritionists were persuaded that foods containing fat were bad. In response, the food ‘manufacturing’ industry started to produce low fat products. However, these new ‘manufactured’ food products needed to be made palatable because low fat foods are not tasty. Low fat foods generally have sugar added to them to restore some taste. Additionally, manufactured foods usually have the ‘fibre’ removed. This is to produce foods with a longer shelf life. The combination of added sugar and low fibre is catastrophic. In order to understand the problem with sugar and refined carbohydrates we need to look at how the body digests food. The digestive process turns food into sugar which is carried around our body by the blood stream. The blood stream is the distribution system for the energy that we take on board as food. Between meals our blood sugar level drops slowly as the normal process of maintaining the muscles and other organs is carried out. The body has a mechanism to regulate the blood sugar level. When the blood sugar level falls sufficiently we feel hungry and go looking for food. It is now known that much of the problems of obesity come from so called, refined carbohydrates. These are the easily digested sugars and starches. In refined carbohydrates the natural fibres, and thus much of the nutrient value, has also been removed. Because the fibre has been removed these foods are digested very quickly. When refined carbohydrates are consumed our blood-sugar increases abruptly. Some of the sugar in the blood is immediately used by the muscles and other organs but the pancreas responds to the abrupt increase in blood-sugar by producing large amounts of insulin. The increased insulin converts some of the blood-sugar into new fat. This is the natural process. But because the blood sugar level increased so abruptly rather more insulin is produced than is required to merely restore the blood sugar level to normal. The blood sugar falls below normal. The ‘control system’ for the blood-sugar level has overreacted. The new, low blood sugar level causes loss of energy and renewed feelings of hunger. This is very undesirable! The body has just converted some of our meal into fat and yet we are still hungry! So we crave more food and if we try and satisfy this with more refined carbohydrates the ensuing spike in blood sugar level will cause a further burst of insulin from the pancreas. More fat will be stored and the blood-sugar level will fall again and another hunger, low energy cycle will be induced. And so it goes on. The cycles of low blood sugar keep causing feelings of hunger and lack of energy. The final result being we take on more calories than we need. All this was understood many years ago. In the 1970s a British scientist called John Yudkin was one of the first critical voices speaking out against the dangers of sugar. He wrote a book called, Pure White and Deadly. It was at this time that the sugar and manufactured foods industry started to promote the position that it was not sugar but fat that was the primary cause of heart problems. In 1967 three Harvard scientists were sponsored by something called the Sugar Research Association (a lobby group for the North American sugar industry) to publish a review of research on sugar, fat and heart disease. 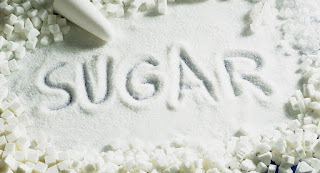 This report played down the effects of sugar and emphasised the role of fat in heart disease. In 1970 The Seven Countries Study was published. This was also a highly questionable report aimed at deflecting the blame for obesity away from sugar. These and other sponsored studies ignored the science of how sugar is metabolised and turned into fat. They were all highly critical of foods containing fat. Yudkin’s study from 1970, and more recent firmly based scientific accounts have still not been fully endorsed by the great public health institutions. Britain’s NHS and the public health advisors in the USA and other countries are influenced by the powerful food who use sugar and related products such as corn syrup in huge quantities. Thus, as we have seen with cigarettes and hydrocarbon fuels, solid scientific arguments highlighting the danger to public health are being by challenged by powerful vested interests, and using much the same techniques. See, http://www.uctv.tv/skinny-on-obesity/ From the university of California for a very comprehensive analysis of the causes of obesity in general and in particular the role of sugar in diet. The growth cycle of a technology.